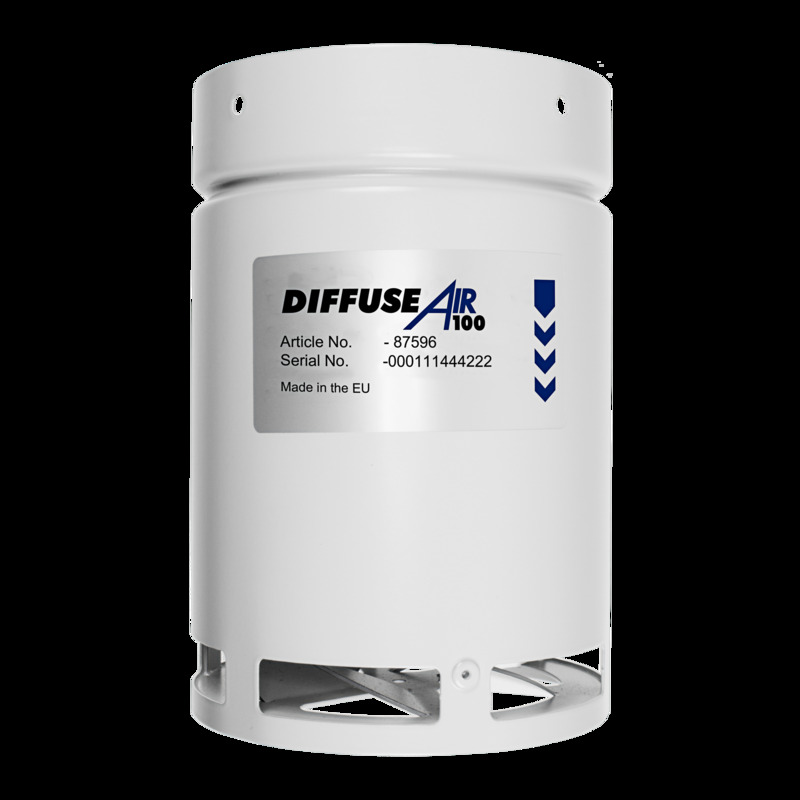 DiffuseAir efficiently mixes all the air in your grow room. DiffuseAir offers you total control over the climate of your grow room. It eliminates microclimates, high humidity zones and hot spots. Designed and made by Systemair. DiffuseAir eliminates harsh air streams that can cause wind burn to your plants and salt accumulation in the growing media. Being ceiling hung DiffuseAir gives you more floor space for growing. The DiffuseAir system will pull air in from the top of your room and push it out above the canopy, moving the air between the grow lights and the plants. This approach is ideal for reducing temperature microclimates in both ventilated and closed-loop grow rooms. If you have a square grow room, one centrally mounted DiffuseAir system can replace all other air movement fans. The DiffuseAir system can be used as the distribution point for your fresh input air supply, mixing all the air in your grow room. Simply attach ducting to the fan and pull the air from your desired location, such as fresh air from outside. This allows the DiffuseAir to act as your climate cooling intake fan, distributing CO2 rich air right where your plants need it. Too often, growers run into problems with air movement across larger rooms. Oscillating fans are often pointed at plants causing unnecessary movement of air across the leaves; this forces higher rates of transpiration which can lead to problems such as wind burn and salt accumulation in the growing media. Positioning the DiffuseAir in multiple places above the plant canopy will evenly distribute air, reducing hot spots and humidity pockets.